> The Beesley Buzz: The best blogging assignment ever! We have worked with some really great brands since we began blogging and have reviewed everything from apps, toys and clothes, to meals out and holidays. It has been a real privilege to also act as brand ambassadors for some of our favourite brands. When we received the invite to host the Series 11 Moshling countdown, we were over the moon. 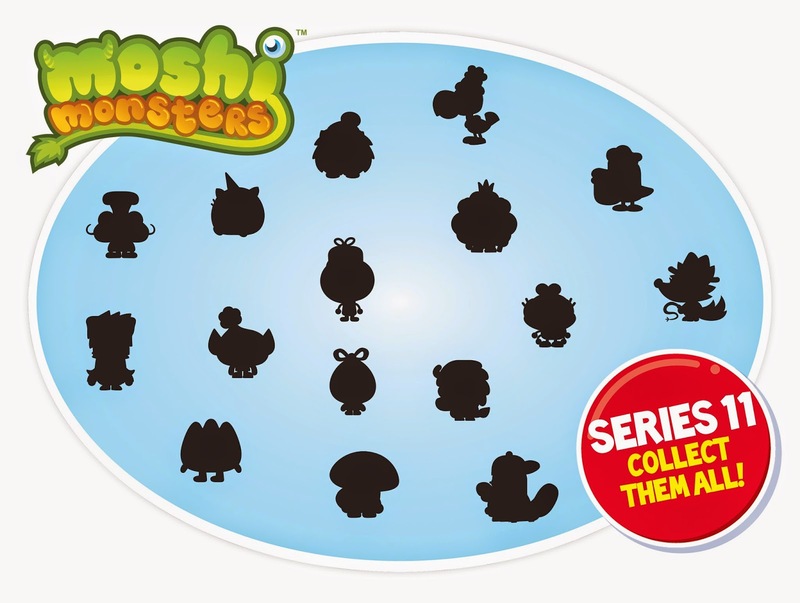 We have long been huge Moshi fans with J getting into Moshi monsters well before any of his peer group and before Moshi became as huge and well known as it is now. J loves Moshlings and has been collecting them both online and as character toys for many years! Every member of the family has their own online Moshi Monster from 2 year old Miss T, right up to Granny. So I've actually been impressively good (for a grown up anyway) at learning Moshling names and finding out about them. So I think I am just as excited about the forthcoming release of the Series 11 Moshlings as the kids are! Even 2 year old Miss T adores Moshlings! Here's a little teaser for now, but look out for the full countdown coming soon on our blog. So for this household of mega huge Moshi fans, this certainly has to be one of the best blogging assignments ever! Wow! You work so hard on your blog, you deserve these amazing assignments. Am I allowed to admit that I don't know what 'hosting the series 11 moshlings' actually means?! My boy like moshi monsters for a while but seems to have gone off them a bit - football all the way now!